Johannesburg – The CEO of VBS Mutual Bank from whom President Jacob Zuma received a loan to help him pay back R7.81m for non-security upgrades at his Nkandla home says no details of the loan will be made public. In an exclusive interview on Power FM’s Power Business show, VBS Mutual Bank CEO Andile Ramavhunga said the scrutiny that has followed the news of the bank loaning Zuma the money had caught him off-guard. The bank has been in operation since 1982 and started with a customer base of residents from the then republic of Venda as clients, specialising in home loans. Public Investment Corporation owns 25% of VBS Mutual Bank. In 2015, the PIC loaned VBS R300 million. When asked about what details could be shared regarding the transaction with Zuma, Ramavhunga said that he could say “pretty much nothing” due to client confidentiality clauses. He denied that political influence played any part in the bank granting Zuma the loan. (Bloomberg) — A South African bank that provided President Jacob Zuma with a mortgage to settle a Constitutional Court order to repay taxpayers the money spent upgrading his private residence said it sticks to loan processes no matter who the client is. The Johannesburg-based lender won’t release details of clients, Ramavhunga said. While Dyambeu Investments is a significant shareholder, it has no direct involvement in the day-to-day running of the bank, Ramavhunga said. Zuma, 74, got a 7.8 million rand ($540,000) mortgage to pay for non-security-related features, including a swimming pool, amphitheater, a chicken run and cattle enclosure to his Nkandla residence in KwaZulu-Natal. 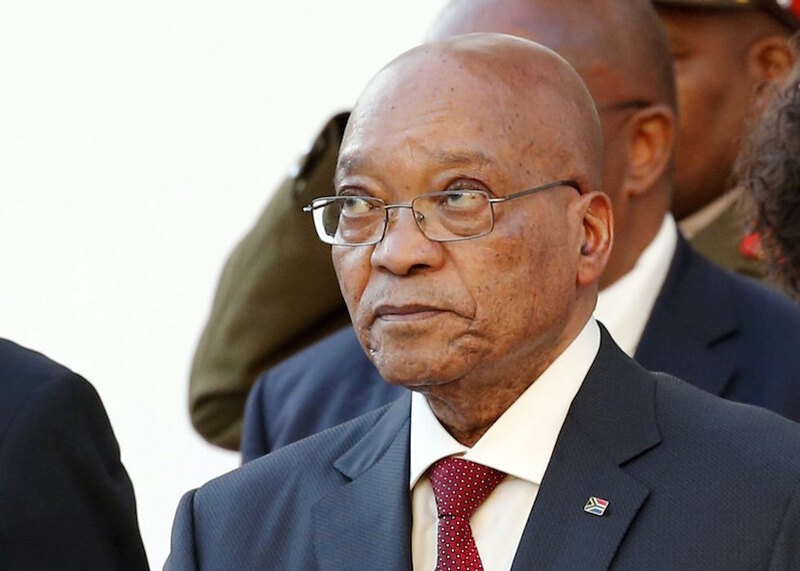 The nation’s top court ruled in March that Zuma had violated the constitution by not abiding by a graft ombudsman resolution that he should pay some of the more than 200 million rand spent on the residence. Dyambeu Investments owns 25.2 percent of VBS Mutual Bank, while Public Investment Corp., which oversees South African government workers’ pension funds among the $124 billion in assets it holds, owns 25.3 percent.